Maintain complete accuracy of the broker contracting, compensation hierarchy and compliance data on WealthServ. Prepare contracting documentation per the HUB Helps process. Forward completed broker contracting requests electronically or via courier to our advisors as required. Ensure new broker contracting applications are screened for poor credit, completeness and accuracy. Review all documentation for missing information and obtain all necessary outstanding requirements. Document and escalate any action required on the part of the Regional Vice President relating to broker credit, conduct or compliance issues based on facts gathered from Insurance Councils, Carrier Head Offices or other information obtained by HUB Financial staff. Follow up with all insurance carriers to ensure all contracting and licensing submissions are processed and completed in a timely manner to ensure prompt policy issue and commission payments to HUB Financial and the broker. Ensure successful completion of broker contracting packages by obtaining all necessary documentation from advisors and submitting completed contracting packages to the carriers. Broker contract information received by HUB Financial must be submitted to the carrier within 2 days of receipt. There is no tolerance for contracting submitted to our carrier partners with outstanding information. 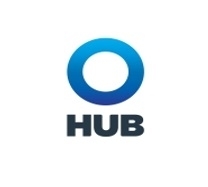 HUB Financial is a wholly owned subsidiary of HUB International – a leading North American insurance brokerage that provides a broad array of property and casualty, life and health, employee benefits, reinsurance, investment and risk management products and services through offices located across the United States and Canada. HUB International is ranked among the top insurance brokerages in the world.